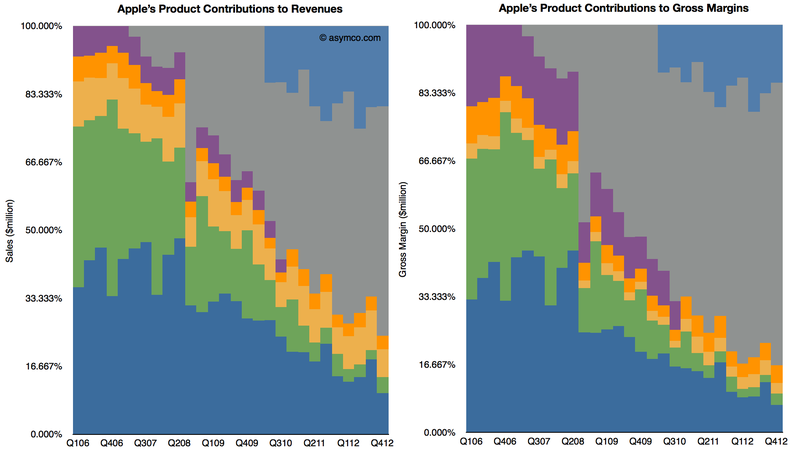 As Apple introduced a new set of revenue categories, the performance of its “minor” businesses has become clearer. The changes include re-statement of what used to be called “Software” revenues as part of iTunes. Apple Software includes sales of OS X, iWork and its pro tools. These products are now sold through the Mac App and since that is a part of iTunes its inclusion makes sense. 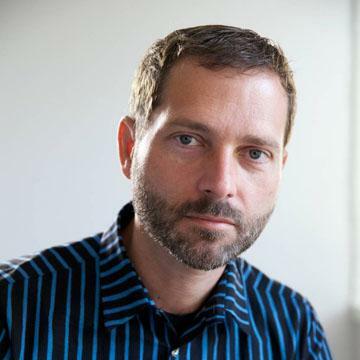 However, we have to understand that iTunes now is a blend of many business models. Some, like music, use a wholesale revenue recognition method and have very low to zero margins, others, like eBooks and Apps, are sold using an “agency” revenue model with potentially higher margins and some, like Software, are recognized at full value with very high margins. 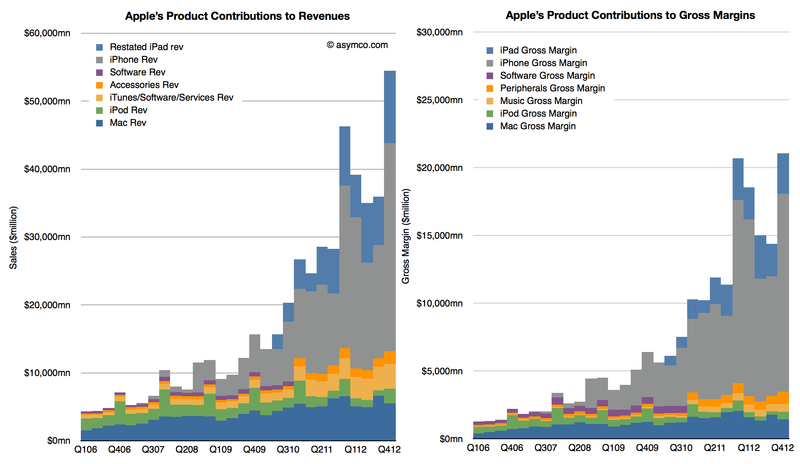 These graphs show contributions to Revenue and Gross Margins of the various reported product categories. Note that restatements for Accessories and iTunes only extend back to Q4 2010 and the older “Software” is still shown for earlier periods. Note also that Accessories are now including some of the revenue that used to be reported as part of iPad and iPhone revenues. This was discussed in more detail here. 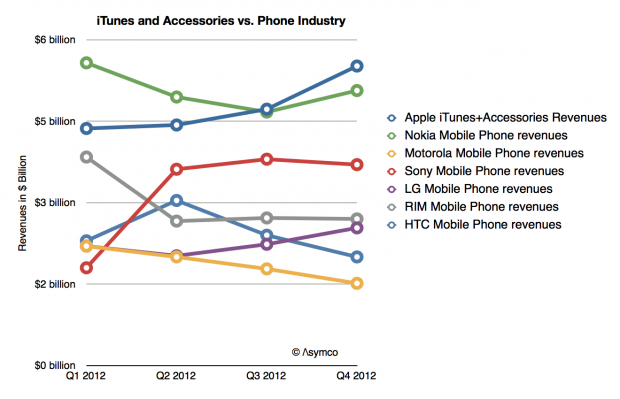 iTunes now becomes a steadily and rapidly growing business. Growth over the previous two years averages well over 30% and is consistent across seasons. The absolute revenue number is substantial: $13.5 billion for 2012 (up from $10.2 billion in 2011). Assuming a gross margin of 15% to 17% yields contribution of $2 billion in margin in 2012 and $1.6 the year before. iTunes growth relative to the Mac means that it could become the third largest business during this year. When seen this way, as a percent of total, iTunes begins to look increasingly as a viable “leg stool” upon which Apple rests. 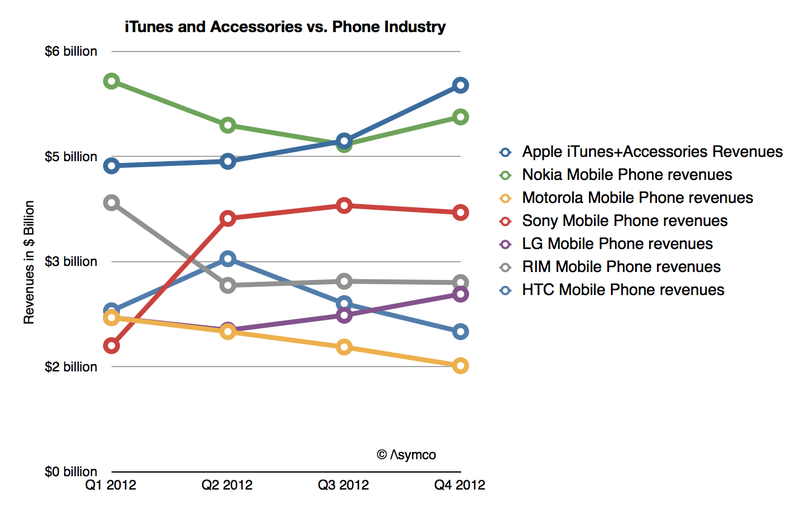 Note that in the following charts the percent of total for iTunes holds steady while Mac and iPod decline. Adding the Accessories business (which includes Apple TV and is showing in Orange above) these “other” businesses are already bigger than the Mac. Of course, content, software, accessories and services depend on a healthy device business, but the size of these ancillaries are beginning to be substantial and Apple’s ecosystem may begin to be valued more than just as an incentive to buy the devices.